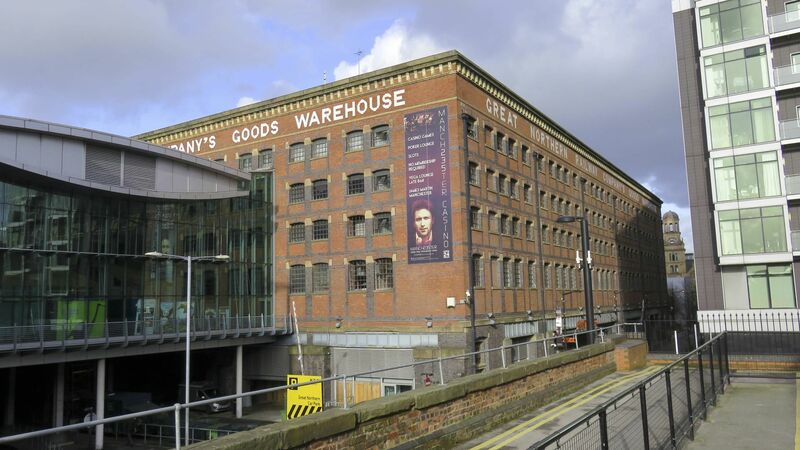 The text around the top of the warehouse reads “Great Northern Railway Company’s Goods Warehouse”. It stands to the side of the canal which passed under the glass fronted building. The Great Northern Warehouse WIkipedia Page says there was a dock beneath the building, presumably on a side arm, with goods transferred to and from canal barges via shafts and a complex system of haulage using hydraulic power. It’s a three-way exchange warehouse serving canal, road and rail. This photo is taken standing above the twin arches in the next (right) photo.